Work Space Design Isn’t a Luxury, It’s a Necessity. While there isn’t a single work space or acoustical solution that is universal to all clients, there is a tried and tested design process that we use to ensure that each project has a clear direction. 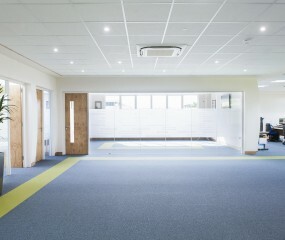 We design and build interiors that combine state of the art design principles with acoustic interior design. At Bespoke Acoustic Interiors we strive to provide our clients with an experience that is both enriching and stress free. A design that reflects the client’s vision is critical to ensuring the project’s success. We will work with you to understand your requirements, the goals for the project and any unique design features that you’d like incorporated. 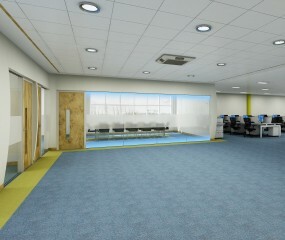 We’ll provide you with electronic visuals of your desired work space, enabling you to visualise the end result. Once the design is agreed we’ll proceed to the next phase with confidence and assurance that the project will reflect your vision. During the construction phase we utilise state of the art techniques and materials to bring the client’s vision to life. We pride ourselves on our attention to detail and do our utmost to keep our clients informed and involved throughout the project. The finished product will at the very least meet your expectations, if not exceed them.